Beautiful Boy is a touching film that will break your heart. 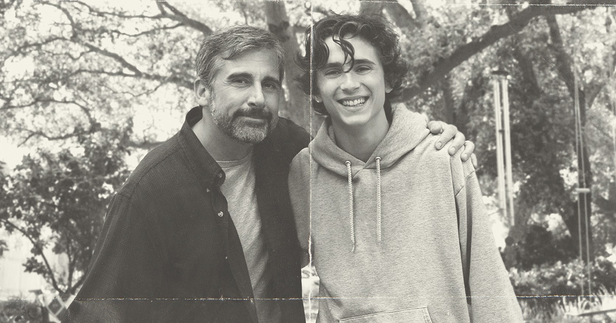 Based on the memoirs of David and Nic Sheff, Beautiful Boy chronicles the inconsistent dynamic between a coping father (Steve Carell) and his distraught son (Timothée Chalamet). The film leaps back-and-forth throughout their lives; capturing spirited memories, personal bonds, and the rift they currently face caused by Nic’s serious drug addiction. By: Jessica Goddard From director Felix Van Groeningen (The Broken Circle Breakdown), Beautiful Boy is an affecting, thought-provoking account of one family’s experience with the cyclical realities of addiction, recovery, and relapse. The story is told sensitively – though sometimes confusingly – through a fragmented, flashback-heavy narrative structure. TIFF returns for another year, pushed along by their Tuesday announcement of gala and special presentation films. This first slate has the same level of films that frequently find their way into the earliest announcement: films that will eventually be nominated for Oscars, or be ignored for Oscars, or find their way into hot take articles about how they should have been nominated for Oscars.